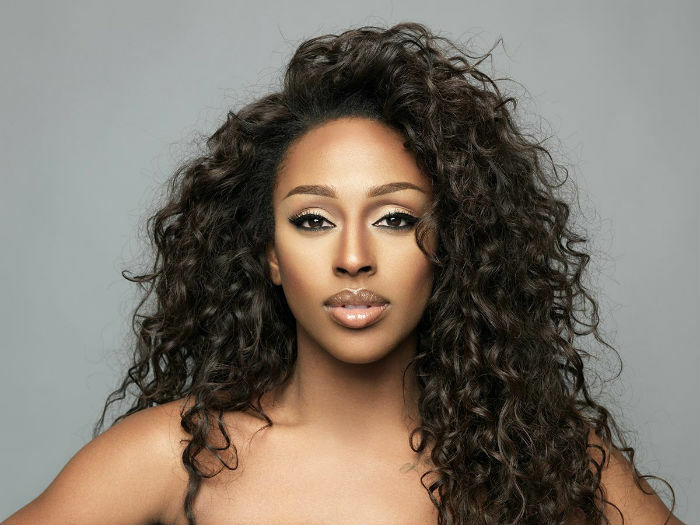 X Factor Winner Alexandra Burke can perform at your event! As a booking agent for Alexandra Burke, we can arrange for her to sing to your guests. Alexandra Burke’s post-X Factor career is a testament to her talent, with her debut single from the show, Hallelujah, going straight in at number 1 in the charts, passing 1 million sales in less than a month and becoming a European record-holder for single sales (with 105,000 copies sold in a 24 hour period). At the audition stages of 2008′s X Factor, the ultimate winner Alexandra Burke made a little pact with herself. ‘I said to myself that if I didn’t make it through to the live shows then I would seriously reconsider where I was going to go with. This was about proving something to myself. That music was the thing that I was born to do.’ Thankfully Alex was voted through to the live shows and, as they say, the rest is history. As Alexandra was crowned champion, she was still recovering from the joy of performing with her idol Beyonce. Three years on and Alexandra Burke is no longer duetting with Beyonce. She is competing with her. Alexandra Burke ‘s debut single ‘Hallelujah’ went straight in at number one and became the European record holder for single sales over a 24 hour period (105,000 copies). Such was the success of the winner’s single, ‘Hallelujah’ passed 1 million sales in less than a month. Ten months later, and Alexandra Burke released her first single from her debut album ‘Overcome’. ‘Bad Boys’ immediately topped the singles chart and the album also went flying in at top spot. Further singles ‘Broken Heels’ and ‘All Night Long’ achieved top ten hits and Alex released a re-packaged version of the album late in 2010.The first single from that album, ‘Start Without You’ (featuring Laza Morgan), spent two weeks at the top of the UK charts. In 2011 Alexandra Burke embarked on her first headline tour, receiving rave reviews along the way. Widely touted as one of the country’s finest talents, Alexandra has well and truly propelled herself onto the global stage. Hiring Alexandra Burke to endorse your brand, service or event is very simple. Contraband is the UK’s top booking agent, with friendly, experienced account managers who guarantee you the best deal possible. Contact us today if you would like to book Alexandra Burke to be the highlight of your event! We as your booking agent are more than happy to help you create the most memorable moments with Alexandra Burke.